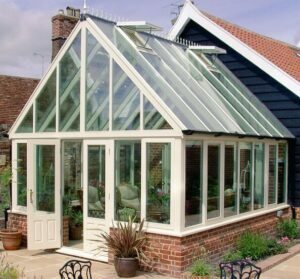 Newlite offer a stunning range of quality hardwood conservatories and orangeries and are passionate about creating you that perfect conservatory. We take care of every stage of the process ensuring our finished result is a stunning addition to any type of home. Our hardwood conservatories are crafted to the very highest standards by experts craftsmen and installed with care and attention to detail. All incorporate your wishes, budget, desires and our expertise to make it happen. 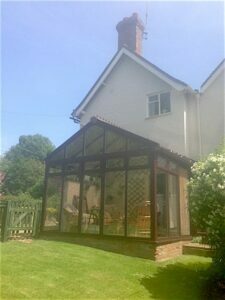 Modern or Traditional Timber and Hardwood Conservatories. From traditional Victorian, Georgian or other style right up to the very latest in contemporary designs we have the right product for you. 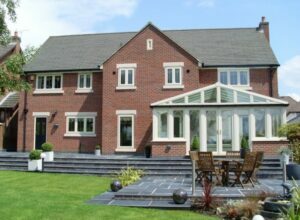 Whatever we create for you you are guaranteed individually designed bespoke hardwood conservatories, orangeries, garden rooms or glazed roofs. You can complement your timber conservatory with a matching range of windows, sliding doors, bifolding doors or french doors. Why choose a hardwood conservatory? Quayside products are created using traditional joinery methods. The hardwood we use comes from sources of certified, sustainable forests, much of which is now in an “engineered” form, strip laminated & finger jointed for improved stability & strength. All products are factory presprayed using a modern microporous waterbourne coating system. 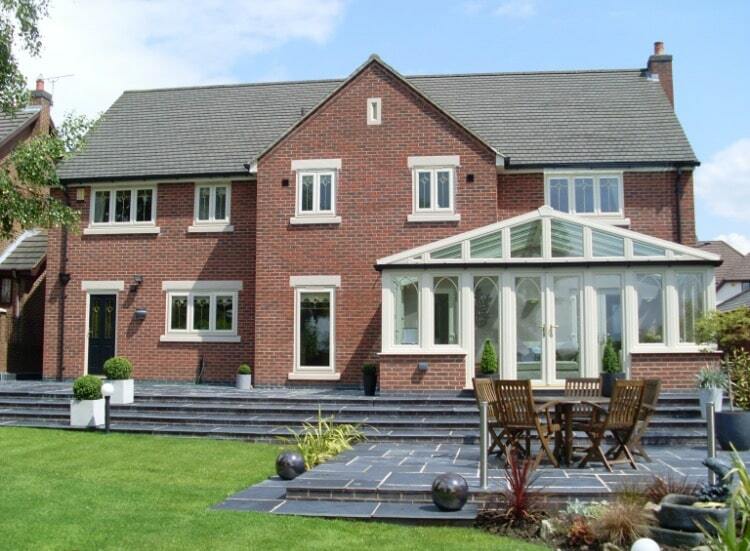 Timber conservatories that are meticulously crafted and built to last by Newlite. We use only the very best engineered Red Grandis and non-engineered Meranti hardwoods, renowned for their strength and durability. All are sourced from certified and managed forests in accordance with stringent EU Timber Regulations. Your unique timbers that will craft your new conservatory are kiln dried and then treated to create a uniform paint finish, no matter what colour you choose. We use only toughened glass in vertical members that is ugly sealed into the frames using high specification glazing methods to provide a full perimeter bonded, neutral-cure silicone (wet) glazing method on-site. Roof glazing is specially sealed to create a leak proof construction. High Quality Paint finish with low maintenance requirements. Your high quality conservatory will be finished with various base coats and top coats that are factory sprayed under controlled conditions to created a low maintenance yet highly durable surface.